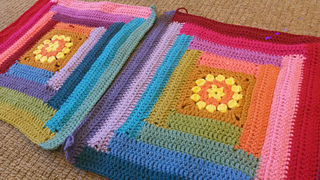 Squares measure approximately 35cm. 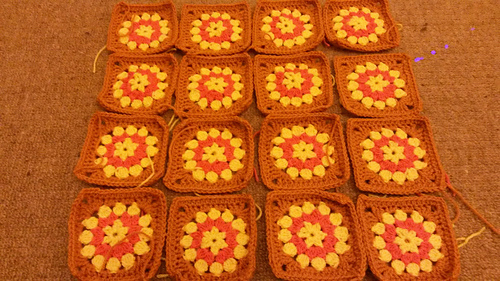 Total of 16 squares total in 4 x 4 format. 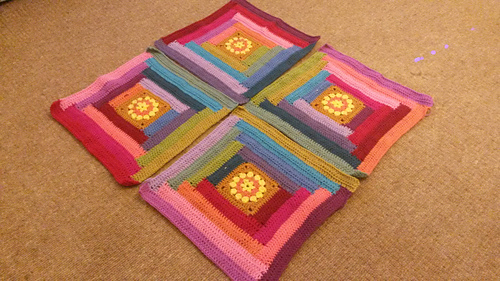 Finished blanket 150cm square. 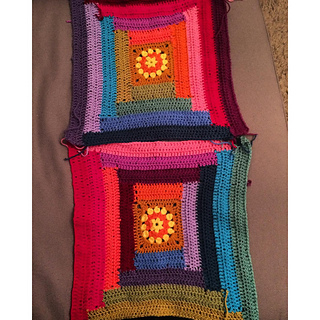 Stylecraft Special DK colors used: Claret, Lipstick, Bright Pink, Magenta, Fondant, Shrimp, Spice, Gold, Citron, Lime, Meadow, Sage, Petrol, Aster, Turquoise, Wisteria, Violet, Plum. Instructions are in UK terms. 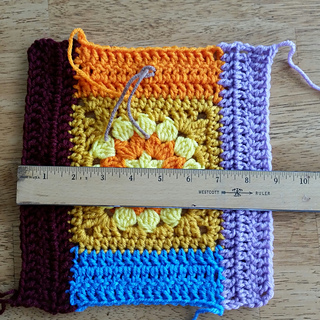 A Sunny Crochet-Along on Lucy’s blog started in November 2015.